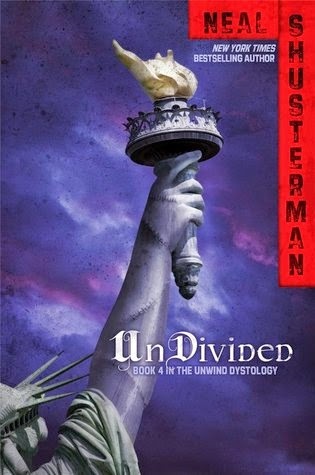 Teens control the fate of America in the fourth and final book in the New York Times bestselling Unwind dystology by Neal Shusterman.Proactive Citizenry, the company that created Cam from the parts of unwound teens, has a plan: to mass produce rewound teens like Cam for military purposes. And below the surface of that horror lies another shocking level of intrigue: Proactive Citizenry has been suppressing technology that could make unwinding completely unnecessary. As Conner, Risa, and Lev uncover these startling secrets, enraged teens begin to march on Washington to demand justice and a better future.But more trouble is brewing. Starkey’s group of storked teens is growing more powerful and militant with each new recruit. And if they have their way, they’ll burn the harvest camps to the ground and put every adult in them before a firing squad—which could destroy any chance America has for a peaceful future. Do you know that drained feeling that you got after reading a superbly-awesome book that make your brain ache and heart wrenching with feels?!?! Well, I just experienced that with this book. I am so glad that this series is a dystology (I didn't know such word existed! :D) because this series is the best there is and it deserves its own legacy. It's been a long time since I have read a book that makes me think about it days on end. This book haunts me in my dreams! Neal Shusterman is the best at this art. This book ends at all the right places. There were events that made my brain completely unable to function for a while. I was screaming and flailing for all its worth after what happened to Connor (I can't get over it! 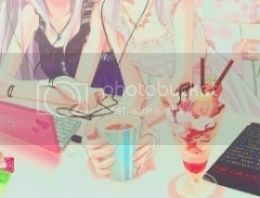 Anyone willing to talk with me about this?). I couldn't believe it!! I was cursing and throwing profanities towards anyone who were unfortunate enough to cross my paths at the time. But it turns out well. Everything is well so I'll just pick up my brain pieces (gasp!) that has been blown by the sheer shock and unacceptable premises that had happen. But all is well at the end. Unwind Dystology is one awesome series. The thoughts that went into the making and writing the story were well thought out. It was unpredictable. It was mind bending. It was mind blowing. It was..heart wrenching. Yes, there were moments where I actually wailed in disbelieve! This is one of the book that make you THINK. That thinking is the reason I got nightmares! I actually pondered the possibility of the process of unwinding and although logic (and science!) may tell you that it is not possible (to remain conscious while your body parts are taken apart piece by piece) but Neal gave you that seeds of doubt and planted it smack deep inside your grey matter to ensure that you will mull over that very possibility days on end. In short, it is scary thoughts! Now, for every book to exist it has to have a hero. The hero is someone smart, brave, quick thinking and no matter how many times he/she face deaths and no matter how impossible it seems for them to survive, in the end the hero always survive to tell the tale. So it was of no wonder that the element of anxiety is loss in me for everytime that I read about a hero riding into battle because deep down I know they are going to survive no matter how hard it will be. Always. But this book due to the sheer awesomeness of the author chose not to follow the familiar pathway of every heroes elsewhere and shrewd me of my thinking that heroes must survive, no matter what! Despite wanting to end the book right then and there (due to a crushing blow to my soul), I soldier on. This book truly had me on a roller coaster ride. I was emotionally spent after finishing the book. I am now on temporary hiatus from reading any books akind to it. This book totally deserves 5 stars and more! I will now rest my pounding heart and spasm brain by reading children books that has fluffy bunnies and cute kittens that have no intention of murder whatsoever. Yes, that's what I'll do now. Ciao!